Home › Buy › News › Liège company Colingua translates for the Dakar Rally ! 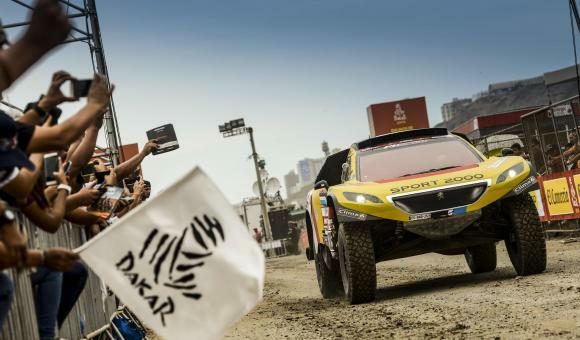 If you managed to follow the Dakar Rally on its official website or on television in your native language, it is thanks to Colingua, a Liège translation and interpreting agency that has been working behind the scenes of the famous rally since 2007. Amaury Sport Organisation (A.S.O. ), a French company that creates and organises international sporting events, including the Dakar Rally, had already used Colingua for translations for the Tour de France. As their collaboration had been very successful, A.S.O. asked the Walloon company to join them on their Rally adventure with the Lisbon-Dakar race in 2007. Since then, Colingua has produced the translations for the event every year in three languages - French, English and Spanish. There is substantial work involved, as the translators have to be on call 24 hours a day during the race: they translate the race commentary live and a large number of texts on what is happening behind the scenes directly onto the official race website and some content for the mobile application. These translations represent more than 350 hours' work over the course of the race. And this is without the translation of the official communication into English and Spanish throughout the year. This experience and its involvement in other internationally famous rallies such as the Silk Way Rally (Russia) and the Desafío Inca (Peru), as well as sporting events such as the Paris Marathon, have made the Colingua translation agency the benchmark for translations in the sports sector. But Colingua is not limited to this sector, of course. Tourism operators, communication agencies and private clients have already used their translation and/or interpreting services. Do not hesitate to visit the website for further information.